Now that I have completed my five day safari in Africa I am prepared to give my Big Five. All I heard leading up to the safari was "I want to see the Big Five". Over and over again. Heck, I didn't even know what the Big Five were, but that was what everyone was wanting. I listened carefully and learned the Big Five were lion, water buffalo, leopard, rhino and elephant. 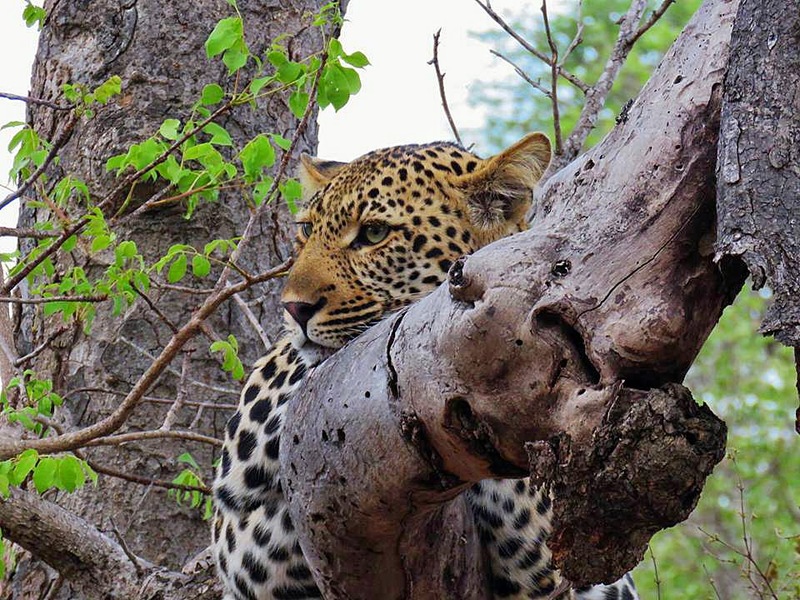 We spent five days and four nights at the wonderful Thornybush Waterside Lodge. Every morning we were up at 5am and off on our morning drive in search of all the great animals. Return for breakfast and a little relaxation before heading back out at 4pm for another exciting trek. So over the course of our searches I made my own Big Five list from my sightings. 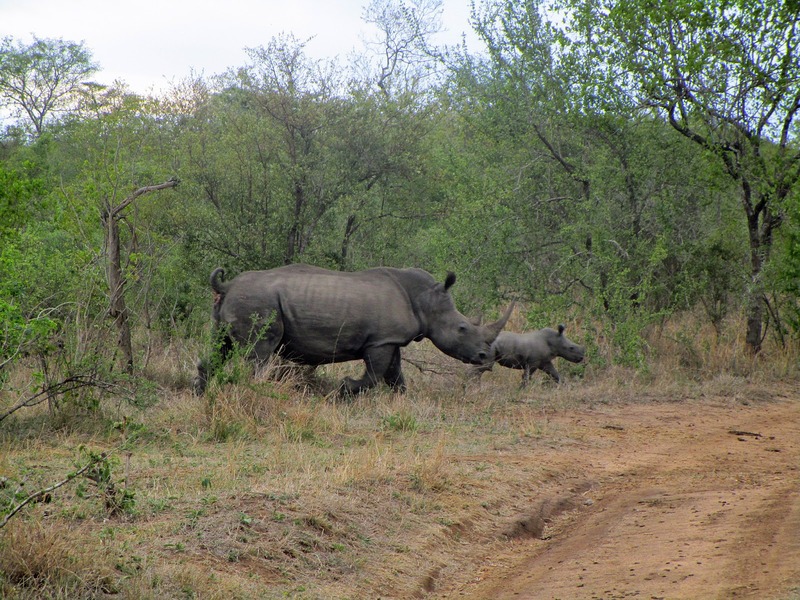 Here are the TexanTreks Big Five and I am sure mine will surprise you a bit! 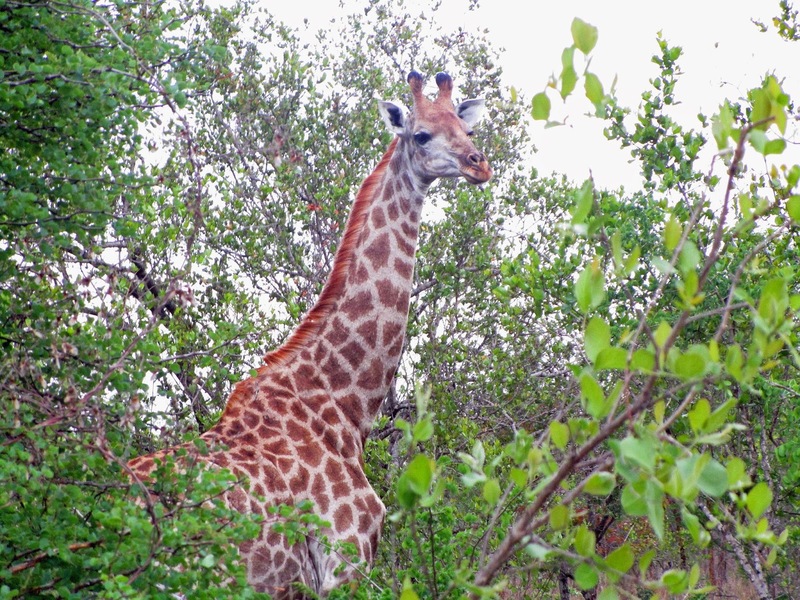 I will start with #5 and work my way to the #1 best sighting of my safari. 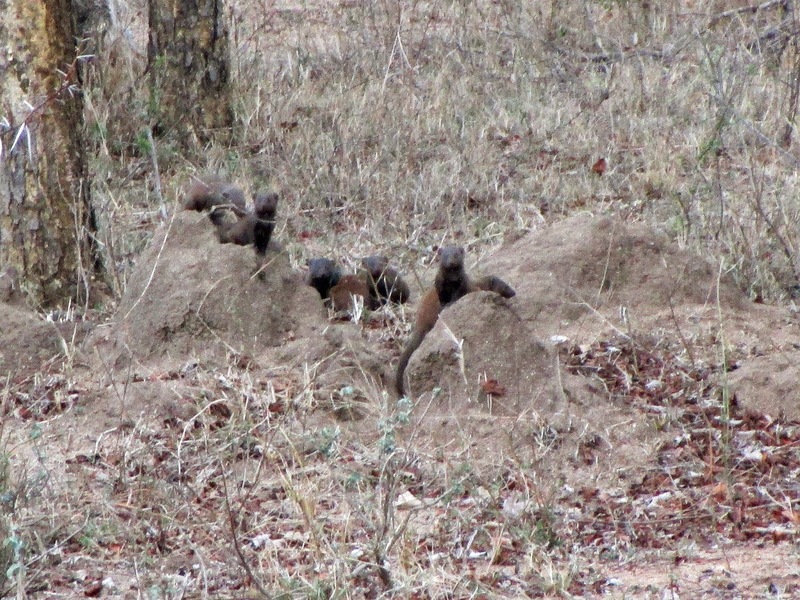 We found the most famous tribe of mongoose living just off one of the numerous trails. I would guess 99% of all people on safari miss the mongoose. Completely. In fact the only reason we saw them at all was because I made a specific request. 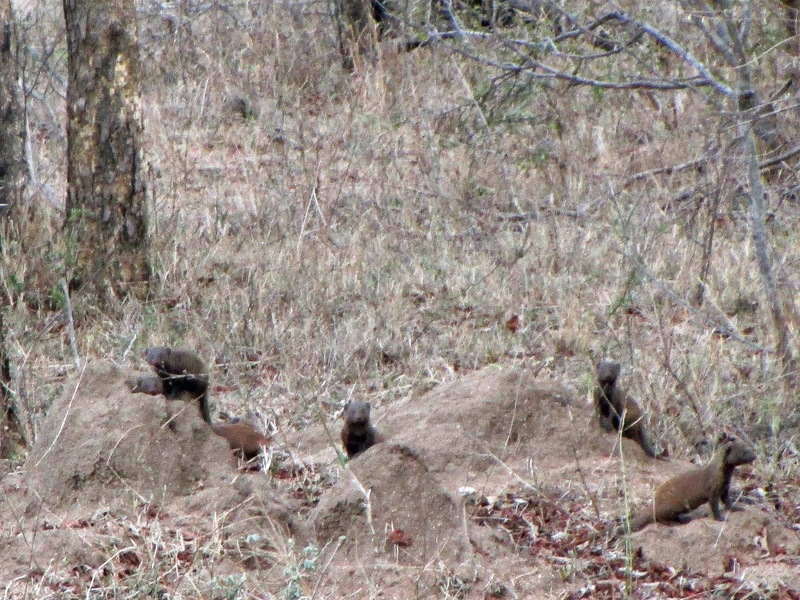 We never saw anymore mongoose the entire trip. 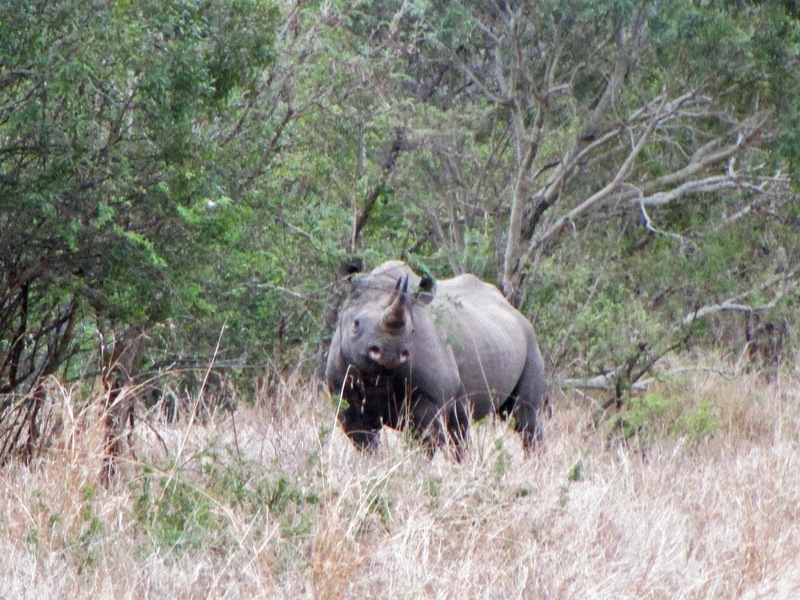 Twice over the five days we were fortunate enough to run across this mother Rhyno and her youngster. The first time was at a watering hole. They were skittish and the mother rounded up her little one and headed out upon our arrival. The second time we ran across them they were both lying in the brush. The baby immediately hopped up, ready to head for safety. He made a full circle around his mother and pawed the ground saying "Hey mom, let's go!" But the mom gave no reaction at all. Not the least bit worried about us in any way. After a few minutes of eying us intently the baby finally moved back alongside his mother and lied down. He still wasn't convinced they shouldn't make a run for it though! Yepp number three is the giraffe. 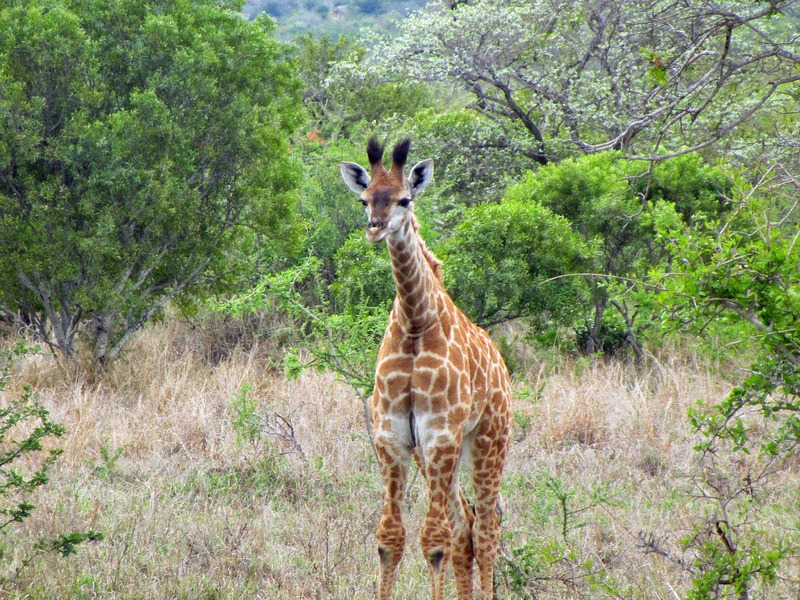 See I went with an already set perception of the giraffe. We have seen plenty of them at the zoo, wild animal park and on television. Let me tell you that seeing them in person, in the wild is a totally difference experience. The first sighting we stopped in the middle of the trail as a group approached. It felt like I was in my own Jurassic Park. They are huge! Much bigger than I expected. Some must have easily towered over twenty feet. And when they lumbered along I thought to myself this feels like a smaller version of a brontosaurus. A total dinosaur experience that didn't cease with each sighting. I am sure you are saying"what? ", but yes the hyena. It seems they are very difficult to find. 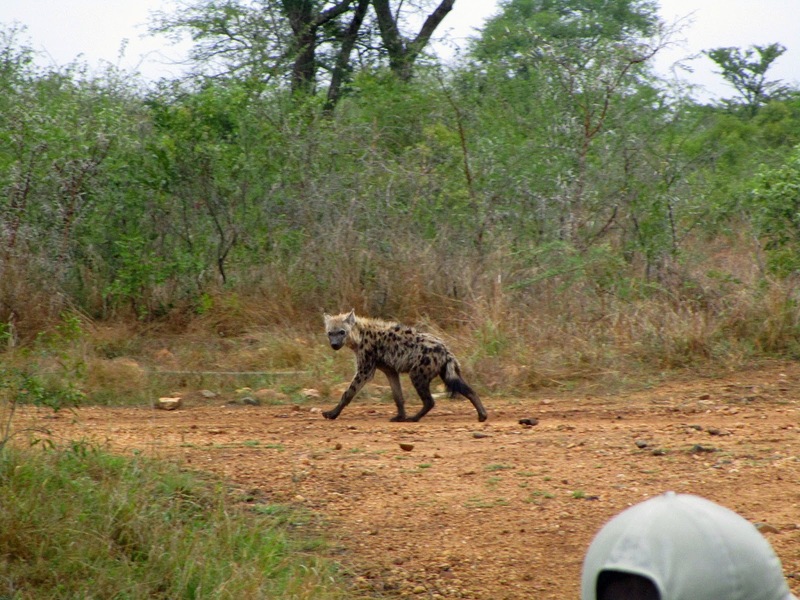 We spent almost three full days on the hunt for a hyena. Any hyena! Then finally on the afternoon before our final day we found them. See, I was not really expecting a lot, but upon seeing one, I was quite impressed. They are magnificent. Unique. Strong. A little bit intimidating. I would not want to be thrown in the same room as one that's for sure! 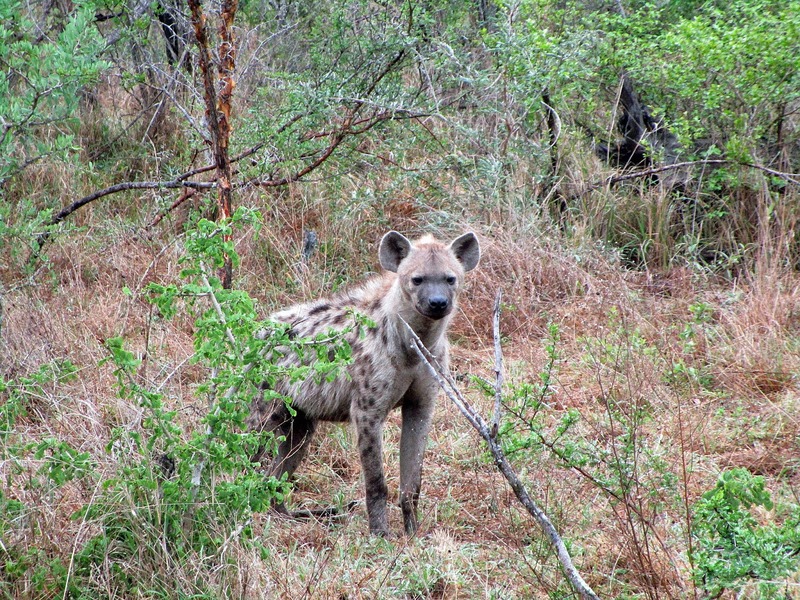 We had two different sightings of a solitary hyena and we also found a pack. While we were observing the pack a couple of the hyena found a big bone and proceeded to have a big game of tug of war and chase each other around. Quite cute and amusing. We ran into this fella on our very first evening. 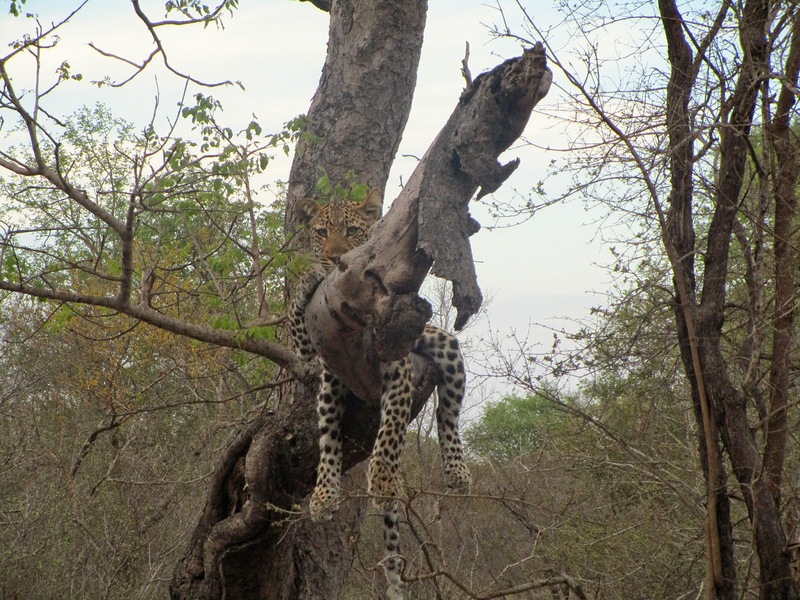 He is about an eight month old male leopard just hanging out in a tree relaxing. In my opinion the best sighting of the entire trip! About thirty yards away under a tree was his mother. She had her young one up in the tree for the added protection (even though the young male was already bigger than his mother). You could just see how this fella was going to rule his own territory one day!